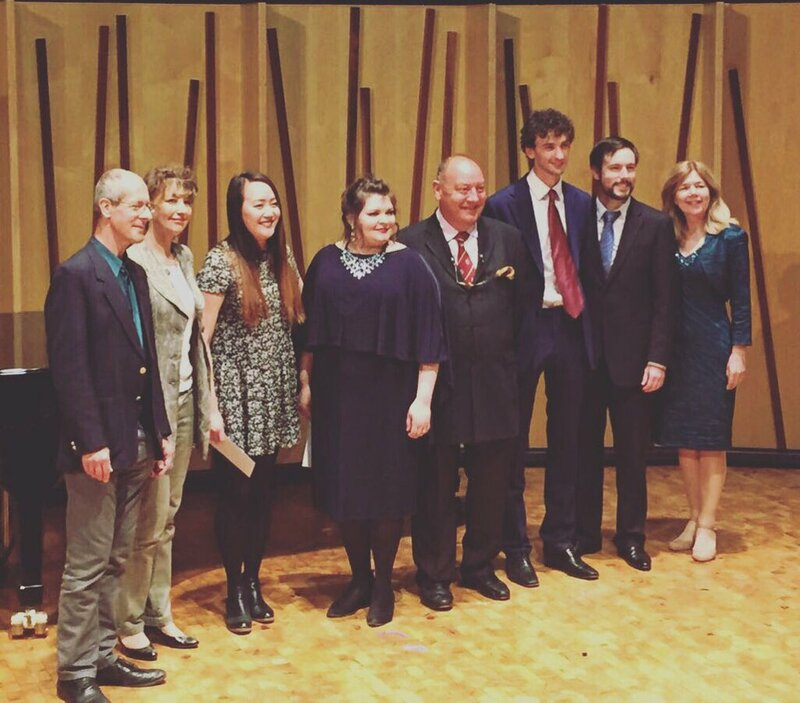 AESS Patricia Routledge English Song Competition – 2nd Place! I’m thrilled to announce that my pianist Lucy Colquhoun and I got 2nd-equal place in the Patricia Routledge English Song Competition last night, complete with £1000 prize! Congratulations to winner Claire Barnett-Jones, my fellow 2nd-place-getter Jonathan Hyde, and the winner of the pianist prize, fellow Kiwi and old friend Somi Kim. As the Association of English Singers and Speakers (organisers of the competition) puts it, “The purpose of the Patricia Routledge National English Song Competition, in accordance with the aims of the AESS, is to encourage the communication of English words, in singing and in speech, with clarity, understanding and imagination.” It is quite a unique competition, which requires entrants to compile a themed 20-minute recital of both English song and poetry/prose. My theme was What if? … If only … : Explorations of what might be, or might have been. What lies down the path not taken? I find the ideas of diverging worlds and hypothetical possibilities fascinating, so it was a joy to explore these in song and speech. My programme was a mix of dreams for the future, looks back at past dilemmas, and yearnings for a different life. It was a wonderful evening with a supportive audience, who enjoyed a wide selection of great English Song from everyone who performed. Bravi tutti! Wow! Congratulations from a proud aunt. Especially impressive with so little preparation time! Thanks so much Kristin! Yes it was a challenge for sure as I did have to learn a couple of new pieces, but it was very creatively rewarding. Congratulations Kieran from Barry and I – we are your sincere fans and not at all surprised at this good news. Hug from me and a grin from him. Continue to go well.